It is the goal of speech therapy to create those links to be strong enough to reach the goal – clarity of speech. A child with apraxia usually requires targeted and sometimes intense speech therapy in order to reach these goals. But what can parents do at home to support these goals, and make it fun in the process? The first step is to work with the SLP to support those efforts, but there are also some easy ways to incorporate effective games for kids with apraxia. Turn the Fridge into the Game Board – Create an ongoing game on the refrigerator by using magnetic words and pictures to reinforce your child’s target words and sounds. 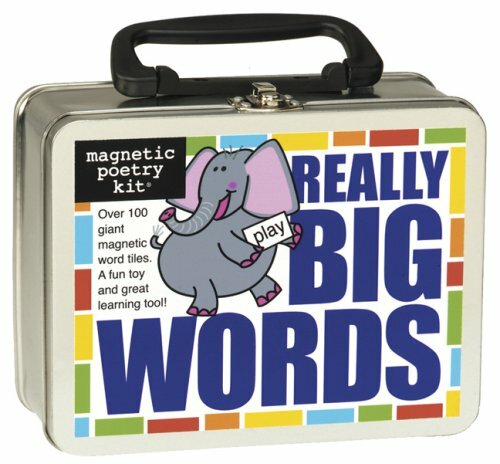 Make one row of words, another of pictures, and work with your child to match up the magnets. As matches are made, enunciate the word very clearly and see if you child can repeat it. Keep a set of target words on the fridge and spend just a few minutes each day working on them. Homemade! We keep a roll of magnetic tape (available at craft stores) around the house. It is adhesive on one side, just like tape, so you can turn almost anything into a magnet. Just cut the amount you need, peel off the paper, and attach it to your homemade picture or word card. Flashcards make great magnets, as do pictures from magazines that are either glued on cardboard or laminated. Homemade Movie – Let’s face it. Sitting at a table doing repetitive speech work might be necessary for kids with apraxia, but it doesn’t always make it engaging. Turn the tables on table-work and help your child create a movie. Apraxia therapy relies heavily on restating the messages and reinforcing the vocabulary that matches the activity or item. Incorporate this idea into the movie by scripting it so that you focus on daily activities that have meaning for your child. Make a movie about feeding the dog or cat, waiting for the school bus, or any other activity to which your child relates. Let your child be the camerawoman and you can be the star, pointing to everyday items around the house and naming them very clearly. Animal Sounds Puppets – Repeating sounds is often one of the strategies for working with kids with apraxia. A set of finger puppets like these can be used to practice animal sounds, and the plush puppets help to satisfy the needs of tactile learners. If you each have a set of puppets you can wear one and make the animal sound and then see if your child can repeat it. You can continue the animal theme with these activities. Speech Therapy for Apraxia – This app designed for children with apraxia of speech uses farm animals and related scenes to build on specific target sounds. Get a little silly and listen together to the trending song What Does the Fox Say? Use animal themed puzzles and reinforce the sounds as your child works to put the pieces together. Childhood apraxia of speech can be an overwhelming challenge for families to face. SLPs offer many effective therapies and tools for building stronger speech skills, but these children also need as many opportunities as possible for repeated speech where language is reinforced. Easy and engaging activities and games for children with apraxia are just more opportunities that are waiting.